1. 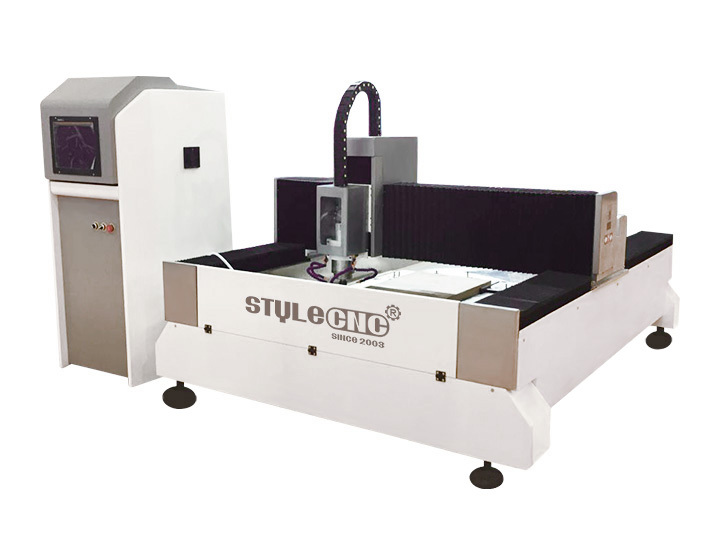 The stone CNC machine bed is welded by the thick wall steel seamless tube, high temperature tempering treatment, high rigidity, bearing strength better . 2. Dual stepper motor drive for Y-axis, moving stably. 3. DSP control with good software compatibility, suitable for Type3, Artcam, Castmate, Ucanam. 4. Constant spindle motor 5.5 KW power, strong cutting strength, high efficiency. 5. High precision rack transmission, high speed. 6. Imported linear square guide way, double row four row slider, high precision, long life time. 7. Well selected electrical accessory, let the failure rate to the minimum. 8. With water and automatic water supply and cooling system. 9. Dustproof and waterproof design, better to protect the machine driving part. 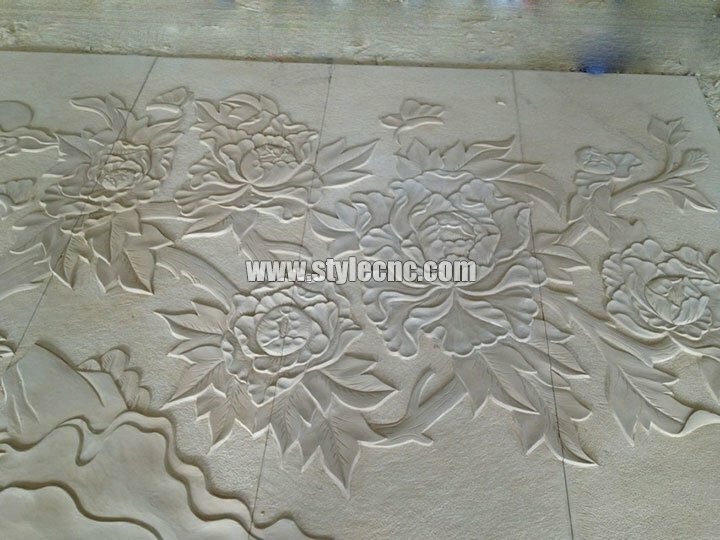 The stone CNC machine can make line carving, 2D carving, 3D carving, 3D relief, cutting, drilling, etc. 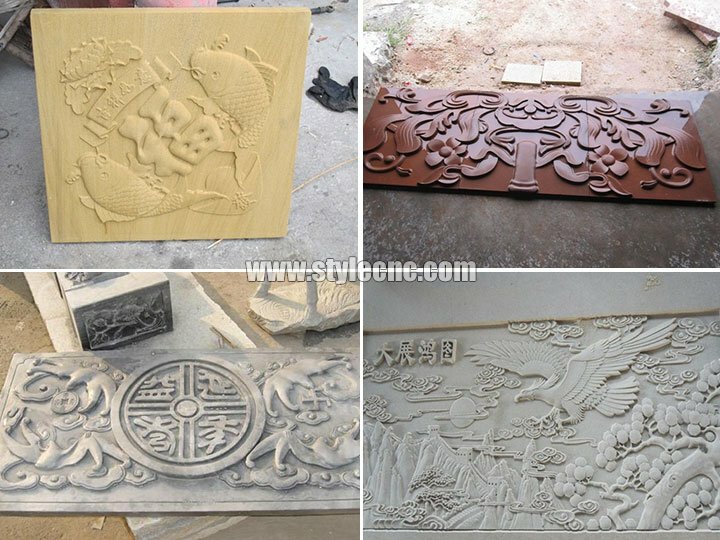 Applicable Materials: Stone, marble, granite, black stone, bluestone, jade stone, crystal, glass, organic glass floor tile and ceramic tile, plastic, chemical synthesis board, PVC board, bamboo ware, aluminum plastic panel, metals, etc. Woodworking industry: Chair, door, window, bed, cabinet, kitchen wares, redwood classical and antique furniture, exquisite european furniture, decorative products sculpture. 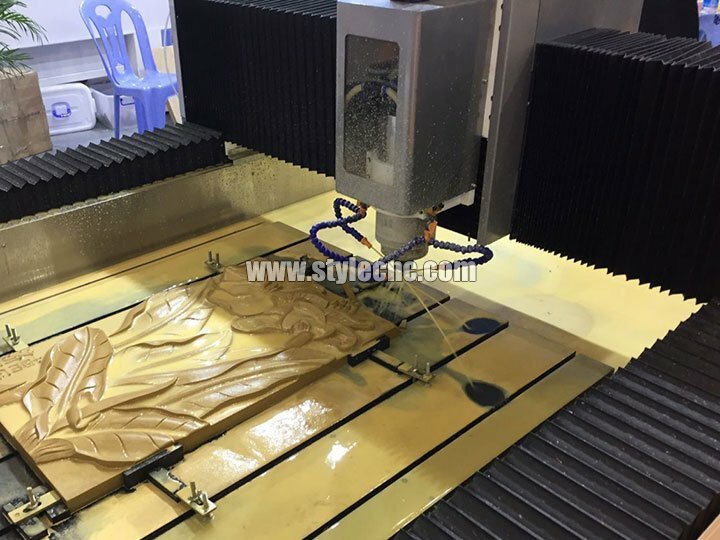 Mold Industry: Engraving copper, aluminum, and other metal molds;Building models, shoes, badge, embossed mould, biscuit, candy, chocolate mould, artificial marble, plastic sheeting, PVC, wood, foam and other non-metallic mold. Advertising Industry: Billboard, signage, badges, logo, company plate, signs, emblem, badge, display panels, fair signs, building numbers, signs of decoration, literal hole cutting, 3D character cutting, acrylic cutting, LED/Neon channel, light box. 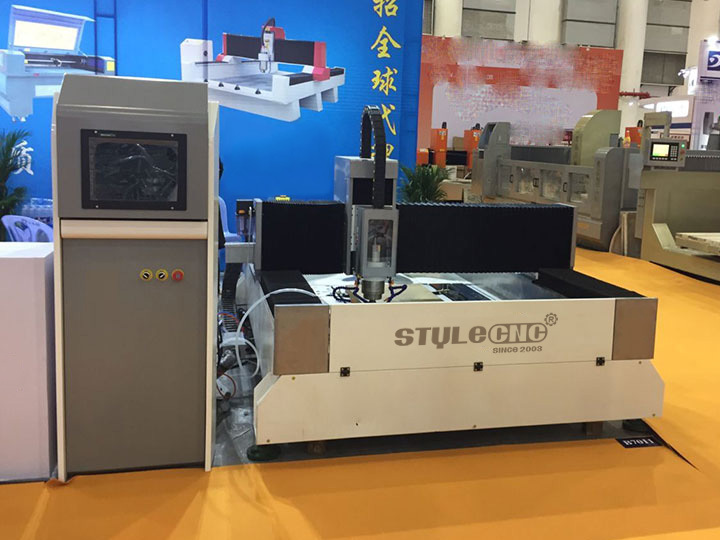 License: The text of "New Design Stone CNC Machine for Marble, Granite and Quartz" by STYLECNC is licensed under a Creative Commons Attribution 4.0 International License. This is my second cnc machine of these. The first one is still working like a champ. Really well designed, sturdy, easy to operate. Saved me time and probably money. 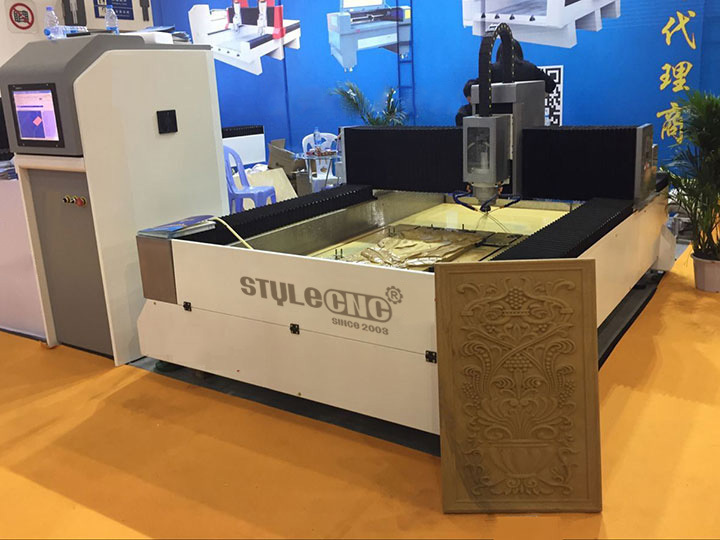 I have found this stone CNC machine to be of high-quality construction. I have also found STYLECNC to give excellent service. 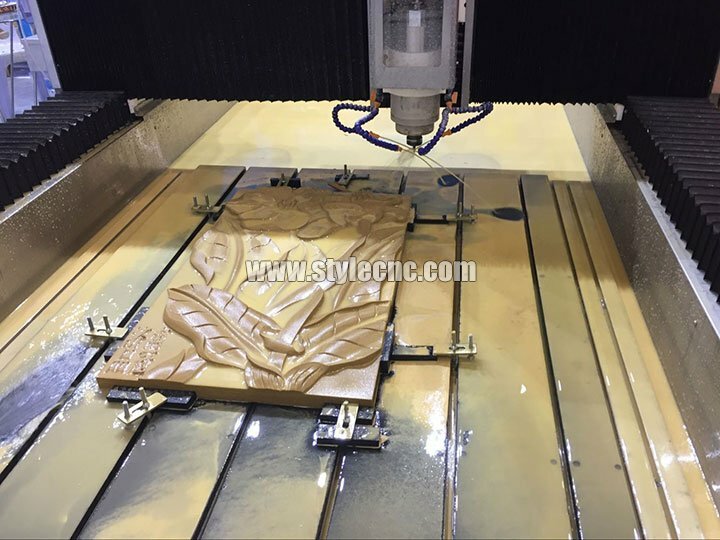 For those looking to buy a CNC stone machine, I think this is your best option.